"This notice is to inform you that the Centers for Medicare & Medicaid Services (CMS) will now allow co-ops to request that surplus notes be applied to Consumer Operated and Oriented Plan (co-op) Program start-up loans," the agency said in a notice to co-op project officers. "Applying surplus notes to the startup loans will enable co-op borrowers to record those loans as assets in financial filings with regulators." Citizens Against Government Waste, a nonprofit that seeks to eliminate inefficiency in government, said the notice permitted Obamacare co-ops to use fuzzy math to mask their true financial situation. 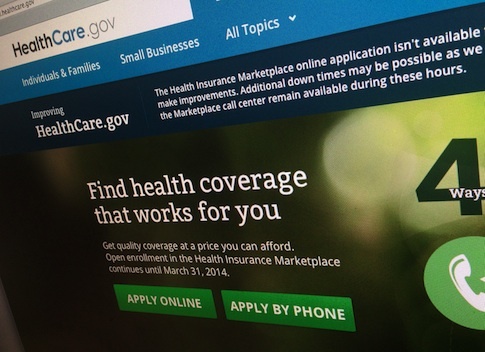 "Taxpayers expect to hear the truth about Obamacare’s co-ops," Curtis Kalin, the group’s spokesman, said. "It is unconscionable that CMS attempted to obscure the financial disaster the co-ops have become through gimmicks and loopholes. "The fact that failed co-op CEOs received bonuses is ethical salt in a festering fiscal wound," he said. Though 21 of 23 co-ops lost money in 2014, most listed net gains on their 990 forms filed with the IRS. Additionally, CEOs were paid well over six figures, including the Health Republic Insurance of New York, which paid its president and CEO $427,000. That co-op closed last fall and is now under investigation for its finances. The nine co-ops that collapsed in 2015 paid their CEOs a combined $2.8 million. New Mexico Health Connections listed net assets of $23.2 million in 2014, though it lost $2.97 million the same year. Every employee of the co-op made over six figures, including CEO Martin Hickey who made $262,874. The New Mexico co-op is still operating, though it announced last year it was dropping preferred provider plans, limiting individuals who purchase insurance through the co-op to the more restrictive health maintenance organization plans, or HMOs. Co-ops in Kentucky, Louisiana, New York, Tennessee, Utah, and Oregon listed net assets despite suffering multi-million dollar losses in 2014. All have since folded. For instance, Kentucky Health Cooperative lost $50.4 million, but reported net assets of $65.2 million. The co-op shut down in October. "In plainest language, things have come up short of where they need to be," the interim CEO said at the time. Louisiana Health Cooperative lost $20.8 million, but listed net assets of $14.1 million and paid its CEO $307,000. The co-op announced it would end all policies by 2016. Its founders were able to rake in $3.6 million in contracts from the co-op in 2013, the Times-Picayune reported. Health Republic Insurance of New York listed $77.5 million in losses, but also $63.7 million in net assets. CEO Debra Friedman was the highest paid official at a failed Obamacare co-op, earning $427,632 in 2014. The co-op closed in November, leaving 200,000 New Yorkers without coverage. Health Republic Insurance of New York is being investigated by the state for "substantial under-reporting" of its finances and may be investigated by the FBI. Community Health Alliance Tennessee ended coverage for 27,000 people in October. The co-op reported $22.9 million in net assets, and suffered $22.1 million in losses the year before. Health Republic Insurance Company in Oregon, which also closed in October, is now suing the federal government for $5 billion. The co-op filed suit because it never received $20 million in federal funding after Congress amended the "risk corridor" program under Obamacare. The co-op still owes the federal government $60 million in loans. Prior to the lawsuit, the Oregon-based co-op lost $12.9 million, but reported $11.4 million in net assets. Nevada Health did not paint a rosy picture of its finances to the IRS, and did not count taxpayer-funded loans as assets on its filings. The co-op lost over $16 million in 2014, and reported negative net assets of $29 million. Citing high costs, Nevada Health closed in August after receiving $65.9 million in loans from the federal government. The outlook for co-ops still operating is grim. Agency officials are now warning that eight of the 11 remaining co-ops are on the verge of financial collapse. This year is a "make or break" for Evergreen Health Cooperative in Maryland, which used the same accounting trick, listing $8 million in net assets despite losing $16.3 million. The prospects for Maine Community Health Options, which listed negative $1 million in assets, seem grim after the co-op lost more than $17 million in the first nine months of 2015. Even co-ops that are confident about their finances, like HealthyCT, Inc. do not expect to turn a profit until 2017. The co-op lost $28 million in 2014, but listed $58 million in net assets. Oregon’s Health Co-Op, the second co-op in the state, is still operating, and listed negative net assets of $17.7 million in 2014. The co-op paid its CEO $315,706 despite "abysmal enrollment" that drew less than 1,600 members. This resulted in a $6.8 million loss for the co-op. The Portland Tribune recently noted the co-op has survived on a "combination of caution and pure luck." The Centers for Medicare and Medicaid Services did not respond to a request for comment.